South America is a fascinating continent full of captivating colonial history, enchanting local culture and breathtaking natural wonders. But who are we kidding? We’re just here to party. 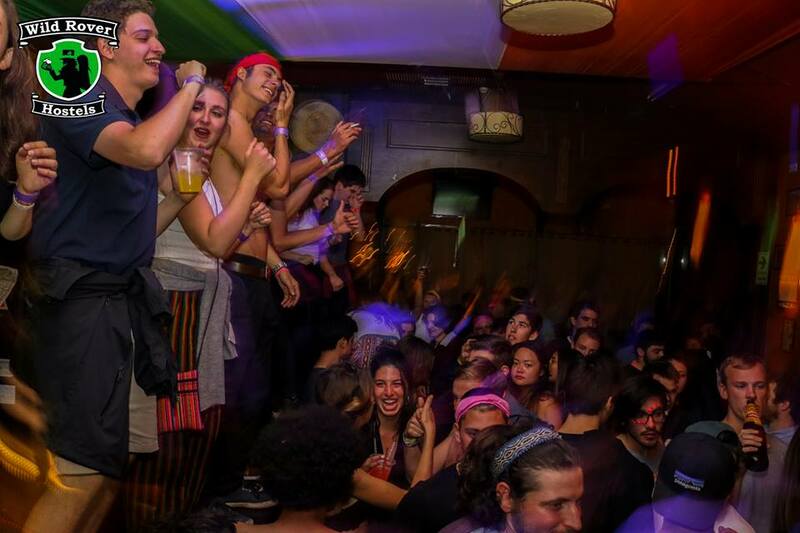 Thankfully, there are loads of pumping party hostels all throughout the continent who have just what the doctor ordered – epic all night boozy fiestas. Check out the best of the best. An infamous South American institution, this Buenos Aires party hostel is a must for anyone after a wild night. The huge complex has room for hundreds of rowdy guests and puts on turbo-charged theme nights such as toga parties, mud parties, foam parties, stoplight parties and everything in between. As is the norm in Argentina, guests usually hit the town at about 2 a.m. and rarely make it home before daylight. Although Milhouse has a few other locations, the original Avenue hostel is definitely the best. A notorious South American party franchise, Loki has expanded in recent years to include five locations over three different countries. Named after a mischievous figure in Nordic mythology, Loki lives up to its name by hosting outrageous booze-fueled events that cater to hordes of fun-loving youth. The Mancora location is a particular favorite for its classy resort-like design that is notorious for hedonistic celebration. As the name suggests, these hostels are wild. Each of the three locations focus around an Irish themed bar that offers delicious comfort food from home and plenty of cheap booze. Evenings tend to start off fairly civilized with guests meeting up for a quite beer and meal before the night descends into madness as the place transforms into a boisterous and unrestrained drink-a-thon. Expect scantily clad revelers dancing on tables while free pouring bottles of liquor straight into the mouths of dancers below. We warned you it was wild. A Peruvian-based franchise with three locations across the country, The Point is a little more timid than the aforementioned madhouses. Aside from the obvious drinking, each locale does a good job of promoting guest interaction by supplying various games such as pool, ping pong and jenga to wile away the time. The beach side Mancora hostel is notorious for its monthly full moon party where rowdy revelers come from all over town to dance the night away in an epic open-air event. As South America’s biggest hostel chain, Che Lagarto hostels can be found all throughout Brazil and further afield. A high level of service and facilities are consistent throughout each hostel, although some are definitely more party orientated than others. Copacabana has a particularly lively scene thanks to its rooftop terrace and swimming pool which boasts incredible views over the world’s most famous beach. The Illa Grande balcony is another fave, the perfect place for a sundown caipirinha, or ten. Cartagena is a party town, and the best place to kick start a night out is old-time favorite Media Luna. Every night, guests tend to meet and mingle in this historic colonial building before heading out for a night of excessive fun. 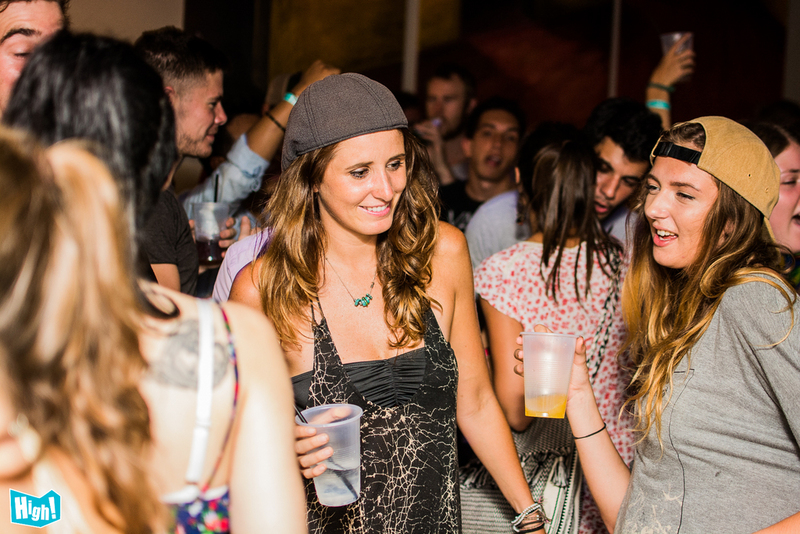 On Wednesdays, however, the party is at the hostel as visitors come in droves to partake in their infamous weekly event, Visa por un Sueño. Backpackers with serious liver damage can visit Media Luna’s sister hostel, a much more relaxed spot on a nearby private beach. The best place to let loose upon returning from the grueling lost city trek, La Brisa Loca serves up the perfect combination of relaxation and decadent fun. Set in a beautifully restored hundred year old Caribbean style mansion, guests fall in with love its leafy patio and elegant pool. But its the hedonism that really entices the masses, with five-hour happy hours, boozy poolside BBQs and full-moon rooftop fiestas that never fail to please the crowds.